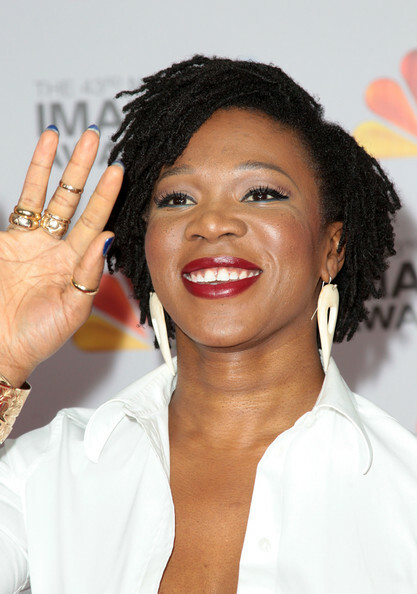 Singer India.Arie is 37 today. Oct. 3: Singer Chubby Checker is 71. Jazz saxophonist Ronnie Laws is 62. Blues singer Keb’ Mo’ is 61. Singer India.Arie is 37. Rapper Talib Kweli is 37. Dr. Cornel West seems to have gone on a shameless mission to disparage anyone in the Black community who tends to overshadow him. Now he’s after music mogul and entrepreneur, Jay-Z, regarding his business holdings. West seems to be bound and determined to demonstrate to the world that Jay-Z’s business holdings aren’t as impressive as he’s increasingly being given credit. But what Jay-Z owns or doesn’t own is not the point of this piece. The bigger issue is the pettiness of a mind that can become so fixated on such a trivial issue. Considering West’s, fading, yet substantial influence in the Black community, the possible impact of such a petty mind during a time when we are fighting for our very existence is indeed frightening. During a time in this nation’s history when powerful forces in this country are hell-bent on establishing an era of corporate feudalism, how does Cornel West’s attack on Jay-Z show “love” for the Black community? How does it help to reinforce the Black community and abolish poverty, as West insists to any and everyone who will listen, is his primary goal? In short, it doesn’t – and that, is the point of this piece. Cornel West’s petty fixation on such issues as the extent and source of Jay-Z’s wealth, why a baggage handler could get inauguration tickets over his own illustrious personage, and why the President of the United States failed to return his personal phone call, clearly demonstrates that poverty and suffering within the Black community, and America as a whole, is not only less than his primary concern, but is, in fact, merely being used as a tool to gain personal attention and to promote his own self-aggrandizing agenda. In addition, West’s all consuming penchant for attacking high-profile Black people – and in racially drenged terms – suggests far more than what many attribute to West’s exaggerated sense of self-importance. It more clearly suggests a form of black-on-Black racism – an intense disdain and condenscending attitude toward his own people. Black people tend not to look closely enough at this syndrome, but we should, because it’s one of the most toxic maladies in the Black community. It’s been killing us for over 400 years, and it’s past time to bring it to an end. I was discussing this issue with a friend the other day, and she insisted, “No, it’s not racism; it’s a form of self-hatred.” But I beg to differ. People like Cornel West, Tavis Smiley, Larry Elder (who Smiley just recently had on his show), Clarence Thomas, and Herman Cain, don’t hate themselves at all – it’s not themselves, but the Black community that they look down their noses at. During the Republican primaries Herman Cain said that Black people weren’t supporting him because we were brainwashed. That’s politispeak for stupid. But as things turned out, being stupid nonwithstanding, with respect to Cain, it seems that the Black community was way ahead of the Republican Party when it came to seeing through him. The Black community needs to start wrapping it’s head around the fact that you don’t have to be White to have racist attitudes towards Black people. Clear evidence of that fact can be had by simply asking yourself when was the last time you heard of a drive-by being perpetrated by a shooter wearing a sheet? You see, I know a little something about Black racism. It’s not a new concept to me. I’ve been observing Black racists plying their trade for most of my adult life. I worked for the United States Postal Service for 28 years, and for 12 of those years I was a union representative who specialized in EEO claims. And during that time I witnessed Black managers and supervisors engage in some of the most vicious forms of racism against other Black employees that I’ve ever seen – in fact, a White manager wouldn’t have been able to get away with it. Personally, I believe the postal service incorporates that fact into its business model. You see, it’s next to impossible for a Black employee to file a successful claim of discrimination against another Black person, so part of the postal service’s business model is to elevate Black people to rob, steal, intimidate, harrass, and fire other Black people. As a direct result, I have an Asian friend with a Master’s degree and she’s been being passed over for promotion for over 10 years by a parade of Black racists who barely made it through high school, because the only qualification for promotion was their willingness to abuse other Black people.